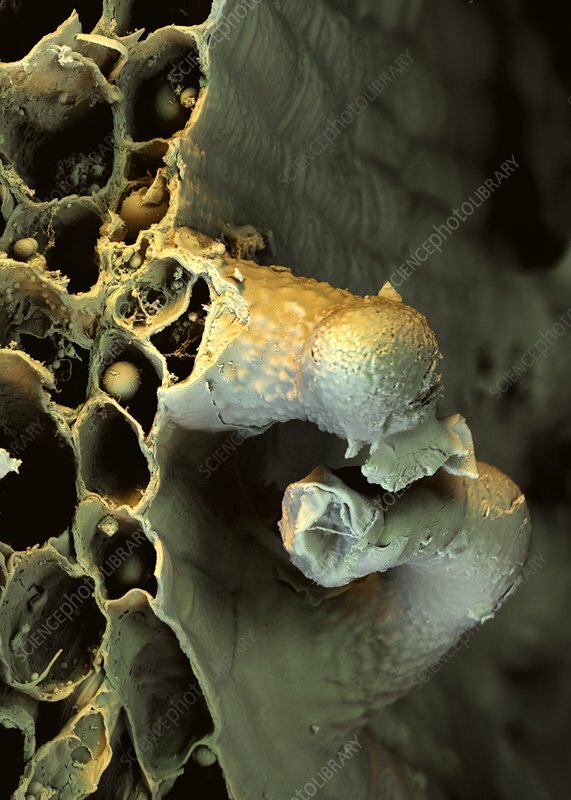 Spanish pepper (Capsicum annuum) leaf trichomes, coloured scanning electron micrograph (SEM). The leaf has been freeze-fractured, revealing the internal cellular structure. Two trichomes are at right. Trichomes are specialised structures that can be glandular in nature, defend against predators, or help reduce water loss.